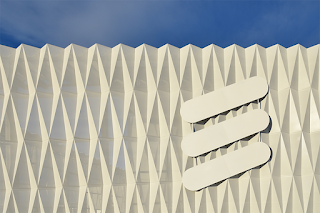 Following widely reported outages impacting O2's 4G network in the UK and Softbank's mobile network across central Japan, Ericsson issued an urgent bulletin attributing the issue to two specific software versions of the SGSN–MME (Serving GPRS Support Node – Mobility Management Entity). The main issue was an expired certificate in these software versions. Ericsson said a complete and comprehensive root cause analysis is still in progress. 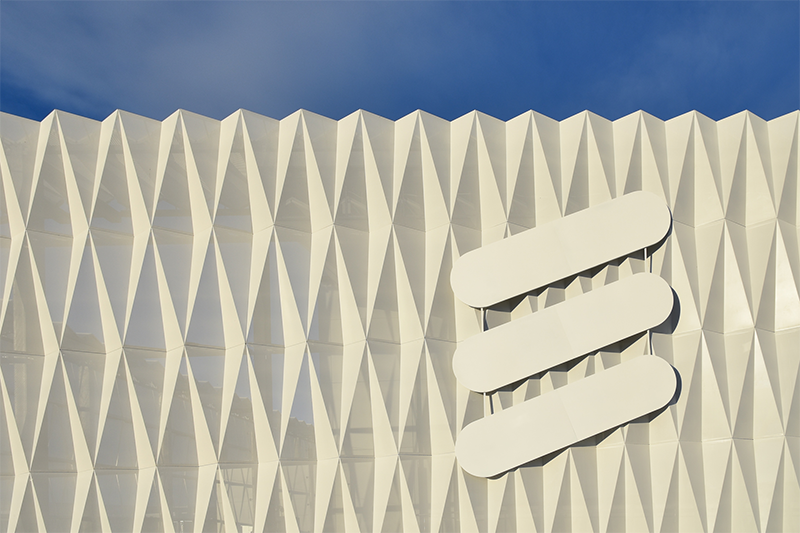 Ericsson said the issue impacted a number of customer networks but did not elaborate. Here's an update on the SDN Enabled Broadband Access reference design developed by Open Networking Foundation (ONF), presented by ADTRAN's Kurt Raaflaub. SEBA is a lightweight platform based on a variant of R-CORD. It supports a multitude of virtualized access technologies at the edge of the carrier network, including PON, G.Fast, and eventually DOCSIS and more. SEBA supports both residential access and wireless backhaul and is optimized such that traffic can run ‘fastpath’ straight through to the backbone without requiring VNF processing on a server. U.S. revenue is estimated at more than $282 million for Managed SD-WAN services in 2018, according to a new report from Vertical Systems Group covering service migration, network connectivity and market sizing. This figure is based on billable U.S. customer sites and WAN access connections installed and under management. ADTRAN has acquired SmartRG Inc, a supplier of open-source connected home platforms and cloud services for broadband service providers. Financial terms were not disclosed. SmartRG, which is based in Vancouver, Washington, offers a portfolio of cloud-management, analytics, Wi-Fi-enabled residential gateways along with a SmartOS software platform. ADTRAN said SmartRG's Smart OS, together with its own ADTRAN Mosaic platform, provides full end-to-end management and orchestration solutions from cloud edge to subscriber edge. Service providers understand that bandwidth must now be delivered not only to the doorstep but down to every device within a home to meet consumer expectations. MEF18 Proof of Concept, 29 - 31 Oct - MEF 3.0 LSO Federated Inter-Carrier Bandwidth-on-Demand Services Through Automated Discovery and Blockchain Settlement. PoC Participants: PCCW Global, Sparkle, Tata Communications, SingTel, CBCcom, Liquid Telecom, Infonas, Clear, and Cataworx. This group won the MEF18 PoC Silver Award. Speaker: Shahar Steiff, AVP, New Technology, PCCW Global. A typical Communications Service Provider (CSP) owns and delivers a combination of network connectivity, compute, and storage services that are bundled into billable product offerings. It is most likely that such product offerings rely on partner CSPs that use each other’s resources to complement geographical or service capability coverage. To meet its potential, the market needs solutions that will dramatically streamline the commercial interactions between the CSP partners in the supply chain delivering such products. Those interactions typically include establishment of legal and commercial relationships, inquiries about availability of services, requests for quotes, placement of orders, billing, and settlement. As new and ever more complex products enter the market, commercial interactions based on manual intervention and processing using, for example, phone-calls, emails, and fax, will continue to consume significant time, thus delaying the delivery of these high margin services and holding back market growth. Secure automation of these commercial interactions is highly significant for the availability of services supporting the growth of productivity and the global economy. In the immediate term, demonstrations of automation of billable connectivity/compute/storage services are of great significance to CSPs and vendors of commercial and business platforms. This PoC provides a powerful demonstration of the dramatic reduction in time and resources required by service providers and partner operators throughout the commercial and business phases of the lifecycle of each service, as well as the ability to offer new products and services with deployment times significantly shorter than the current typical weeks or months. The PoC is based on the distributed ledger paradigm where commercially-sensitive transactions and information are managed using blockchain technology. Although blockchain is popularly perceived as being synonymous with cryptocurrencies like Bitcoin, blockchain can be used for a large variety of applications of distributed ledgers, including global supply chain verticals. The PoC illustrates the automation of commercial interactions, including product offer discovery, recursive quoting, and blockchain-based settlement and clearing across a network of seven wholesale/transit operator domains. In addition, automated commercial interactions require machine-to-machine interfaces standardized and designed in such a way that they can be used by most, if not all, the suppliers and customers of these connectivity, compute, and storage billable services. MEF is making progress in standardizing business interaction interfaces (LSO Sonata APIs) which form an important part of this demonstration. These APIs have been combined in this demonstration with smart contract technology in which pre-standardized commercial and business service attributes are captured and expressed dynamically in machine form. This combination of MEF-defined APIs, smart contract technology, and the secure distributed ledger paradigm based on blockchain technology will enable the dramatic reduction of time and human resources in querying, quoting, ordering, billing, and settlement between stakeholders in the WAN-based services market, as well as the explosive growth of new services based on end-to-end, multi-domain, automation. MEF18 Proof of Concept, 29 - 31 Oct - Blockchain-Based Carrier Marketplace for LSO Sonata. PoC Participants: Colt Technology Services & Zeetta Networks. Speaker: Joan A. Garcia Espín, Director of Product Management, Zeetta Networks. Today, carriers have to build formal agreements with every off-net provider with which they want to do business. This limits the commercial engagement to providers with whom we place a larger number of off-net orders. Engaging with more off-net providers with whom we only will place a handful of orders is expensive, and the cost (especially in terms of manpower) of doing so more than outweighs the potential benefit. As a result we pay more for off-net circuits than we could because we use larger providers as intermediaries to do business with smaller providers. These “aggregators” add their own margin in these transactions, which effectively acts as a “tax” that carriers pay for working in this model. Blockchain could be used to establish a circle-of-trust that service providers, large and small, can join that gives each access to a larger market of suppliers with whom to do business with directly, whilst in tandem bringing about a massive reduction of the overhead of bilateral agreements. We would achieve this by providing capability -- building on LSO API work happening in MEF to which Colt is contributing -- to be able to find a provider that can meet a specific off-net requirement, evaluate their track-record in the market in delivery and assurance (reputation), get quotes, and place orders on a fully automated basis. This would allow providers like Colt to ensure they are getting a good balance of price and quality of service when buying off-net services as well as using the reputation we build through the quality of IQNet and our service-centric approach in the market to increase the number of sales when selling. Each transaction -- and specifically SLA compliance in producing quotes, delivering orders, and in-life performance -- will be stored on the blockchain so that operators can evaluate the performance, in a secure environment, of a potential partner in their own selection process. An opaque copy of the financial contract established between the providers will also be stored on the blockchain to later support settlement. Internet Exchange Australia (IX Australia) has deployed Smartoptics' DCP-M40 Open Line System and Pluggable DWDM QSFP28 PAM4 transceivers to provide high capacity links to metro locations in Sydney. The new, automated, network was delivered by Independent Data Solutions (IDS) and provides IX Australia with lowest cost 40 x 100 Gb/s traffic capability over a single pair of fibers. The new Smartoptics DCP-M40 Open Line System enables up to 40x100G wavelengths over spans exceeding 50km with fully automated addition of new channels for ease of use. Oslo-based Smartoptics AB said space and power considerations were important factors in the technology choice due to the cost of colocation and available power in hosting facilities. The 1U form factor and max 45W power consumption for a fully loaded 40 channels system were significantly differentiating factors over more traditional coherent transponders. Telia activated Sweden's first 5G network on the campus of KTH Royal Institute of Technology in Stockholm. The 5G network will serve as an innovation and research platform for the academia and partner companies. Telia is using a test spectrum license. Ericsson is the technology provider. 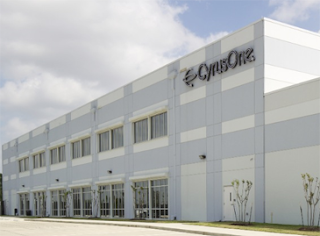 CyrusOne has acquired land from Schiphol Area Development Company N.V., just outside Amsterdam, on which it will build a new data center campus. CyrusOne will develop up to 360,000 square ft with an estimated 72 MW of power capacity on the site. This is the second major expansion announcement for CyrusOne in the Netherlands. In October 2018, CyrusOne announced an agreement with Agriport A7 for the development of up to 270 MW on an 83-acre campus approximately 25 miles north of central Amsterdam in Middenmeer.